how an elite robotic surgeon cut through. 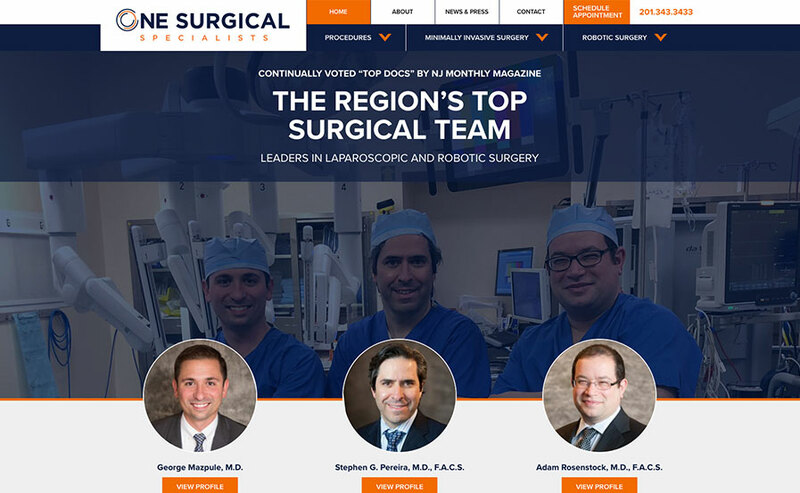 One Surgical is a premier laparoscopic and robotic surgery-focused medical practice. The healthcare industry and, more specifically, the methods by which patients locate and select surgeons have recently undergone dramatic changes. These changes impact physicians like Dr. Pereira, who, at the peak of his career, found he needed to increase visibility of his practice and specialized training to grow his business. Splendor’s team created a new name and brand for the practice, taglines and messaging, and subsequently created a new logo, stationery, website, and launched the practice on various social media platforms. Splendor also conceived and executed a successful PR campaign designed to raise awareness for our practice. This marketing effort allowed us to garner coverage in major area publications, and significantly boosted our visibility online. Splendor explored name options for the growing practice, and ultimately established “One Surgical” to represent the combined expertise of the three surgeons. We then developed an entire identity for the practice, from logo design to stationery, brochure design and brand standards. 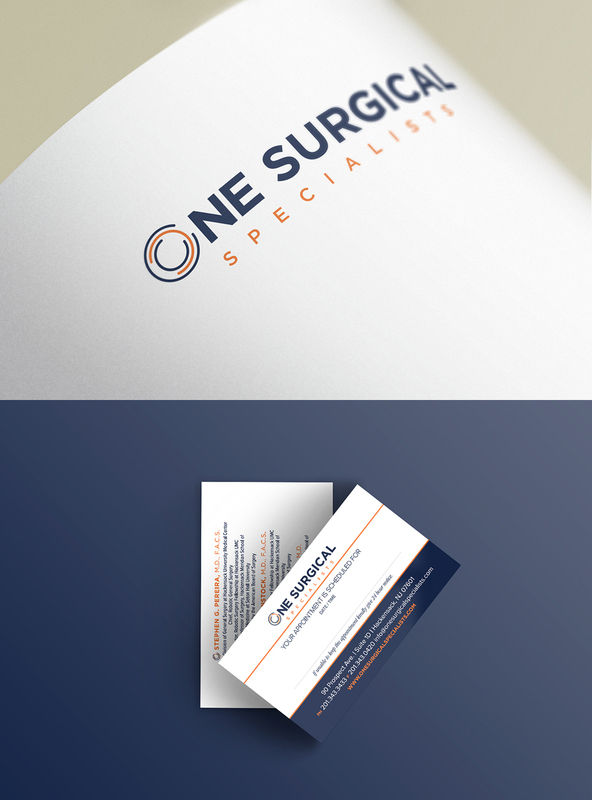 The overall brand for this practice is elegant and professional. 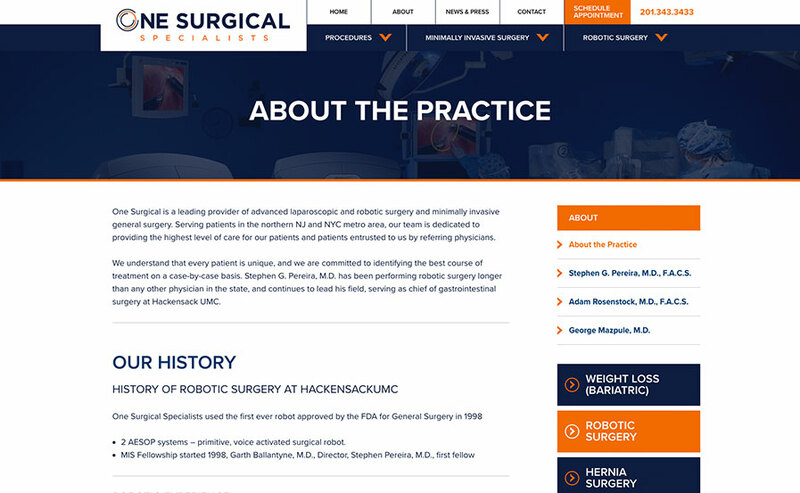 We created an entirely custom website design to coincide with the marketing effort for this practice. Paying close attention to the patient journey (user experience) through the website, we crafted several important calls-to-action to guide visitors toward contacting the practice. 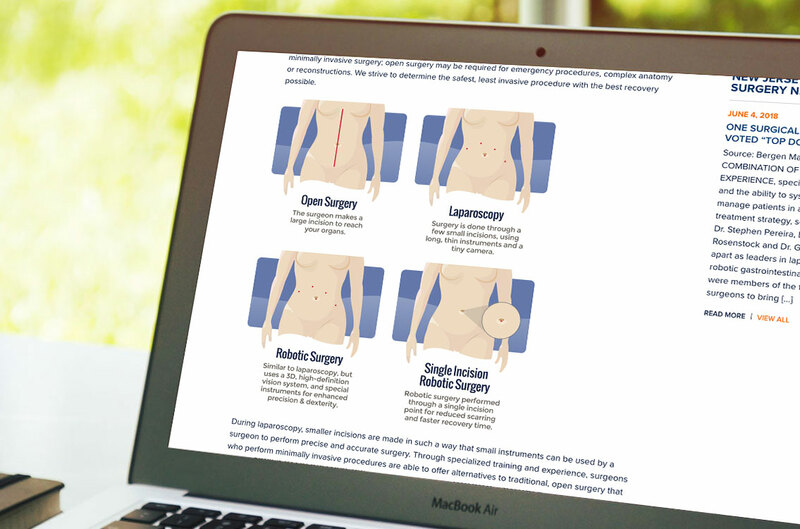 We also structured the website to provide extensive patient education resources, which was highly beneficial for the website’s search engine rank (see below). Patients regularly research medical options and providers – sometimes while in the hospital via a mobile device – and often self-diagnose. Additionally, primary care doctors visit patients in the hospital less frequently than in the past. Specialized surgeons have fewer opportunities to meet doctors face to face, and as a result, the referral chain has been disrupted. 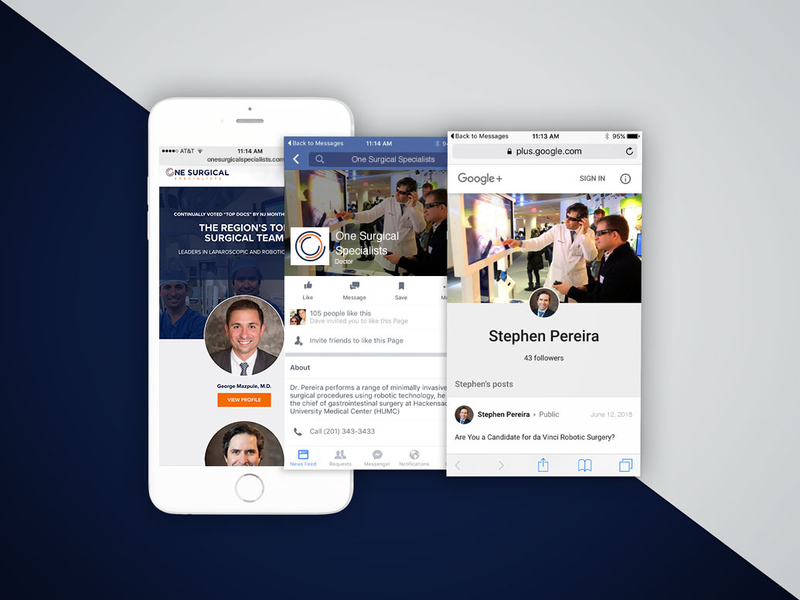 Splendor partnered with Dr. Pereira to increase the practice’s visibility and brand recognition within a specialized field to a targeted audience of patients and referring doctors. Through our marketing efforts, we verified, managed, and grew the practice on a number of platforms, forums and media. 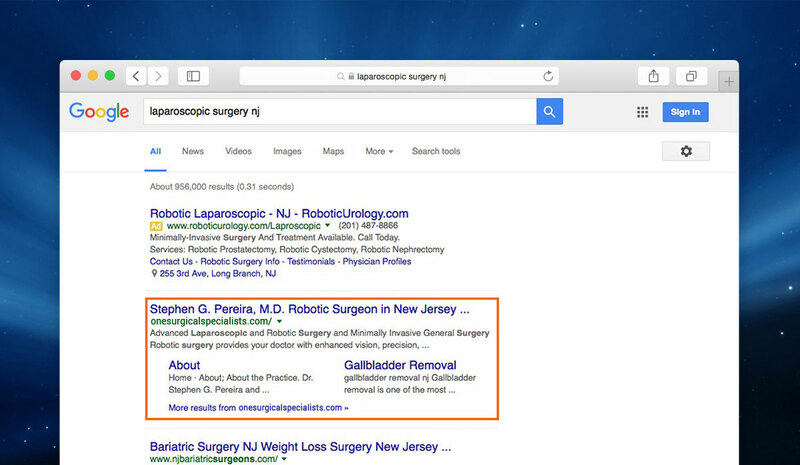 We formulated a marketing plan to increase One Surgical's presence online and among patients and referring physicians. Our online marketing efforts encompassed social media, directory listings, health ratings websites, and more. We orchestrated Dr. Pereira’s reputation management on websites like Vitals and Healthgrades to ensure reviews were accurate and fair, and responded to in a professional manner. 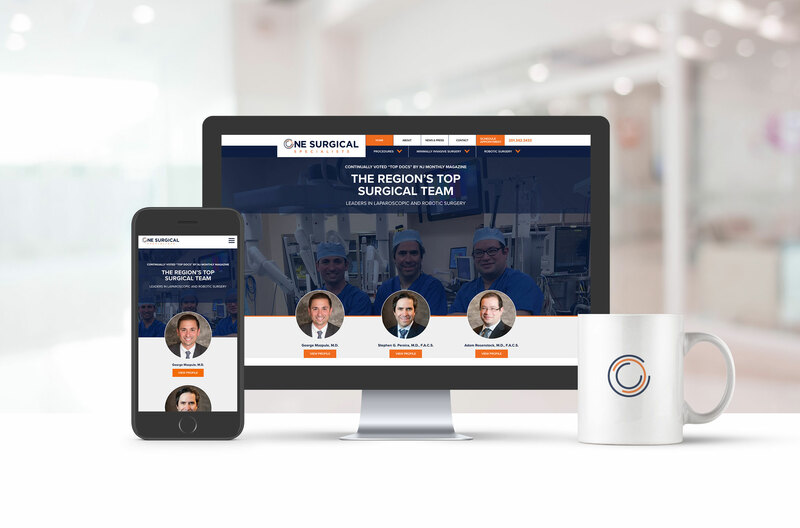 In coordination with our other online marketing efforts, we launched an SEO campaign to increase search engine visibility when patients searched for their specialties. 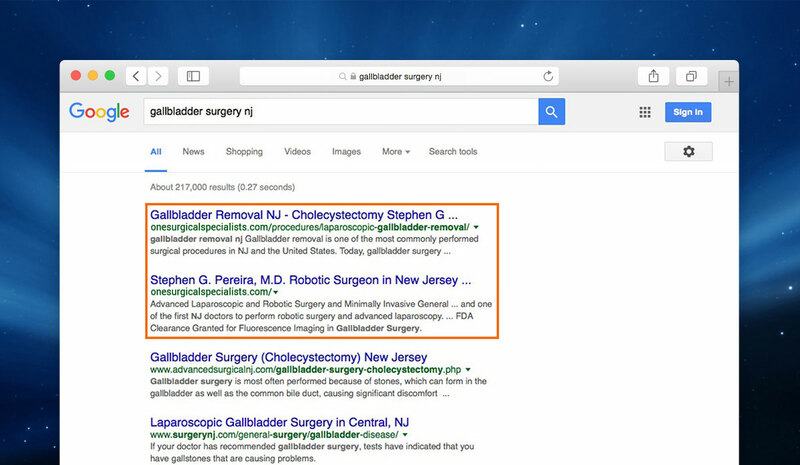 One Surgical now dominates the search results for many targeted key phrases. 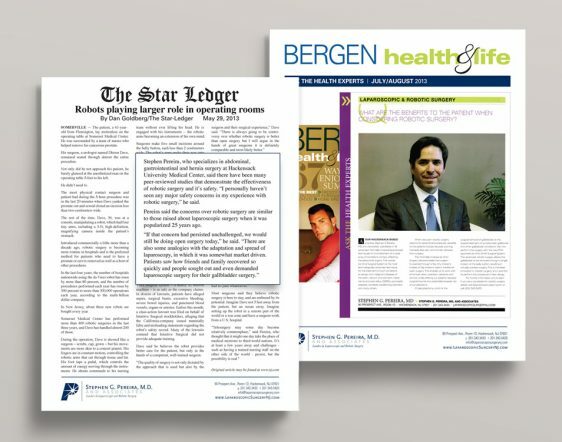 Through our effective PR efforts, we were able to earn serious visibility and recognition for One Surgical via a compelling story published in the Star Ledger newspaper and on NJ.com. 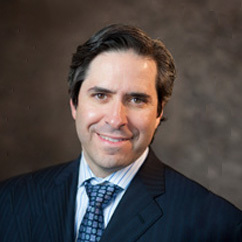 Within this article, Dr. Pereira was cited as a well-established subject matter expert, highlighting his years of experience and specialized training. We crafted several customer testimonials for Dr. Pereira, adhering strictly to HIPPA compliance regulations to protect patients’ privacy. These patient stories provide incredibly powerful, unbiased value that helps propel and strengthen the practice and the doctor’s presence. 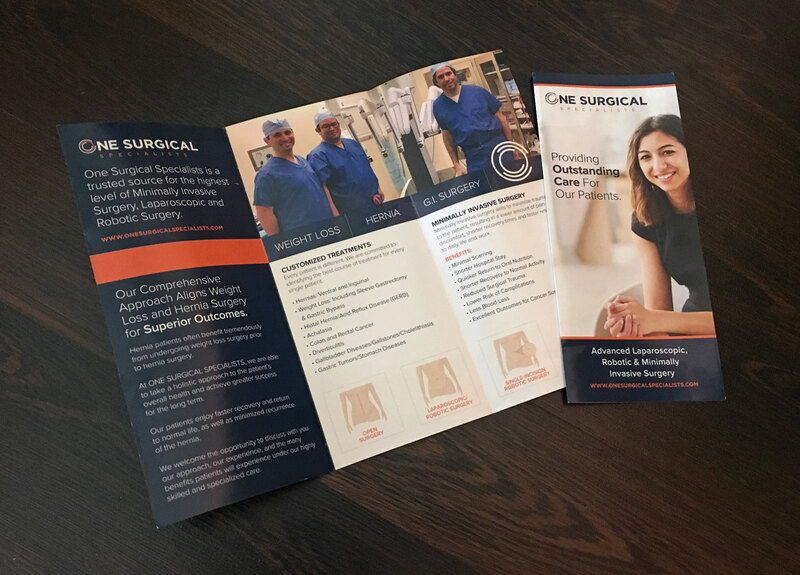 All of the press coverage and custom content Splendor created was formatted with professional design and repurposed and republished on the practice website and on social media platforms.